You are overweight and under the age of 45, but have a family history of diabetes, high blood pressure or high blood lipids (fat). You are African-American, Native American, Hispanic or Asian. You have a history of gestational diabetes; or have given birth to a baby weighing 9 pounds or more. A fasting blood sugar test is performed after you have had nothing by mouth (eating or drinking) for eight hours. Normal fasting blood sugar is between 70 and 99 mg/dl for people who do not have diabetes. A normal random blood sugar result is between 70 and 140. The diagnosis of pre-diabetes is made when two blood tests show that your fasting blood sugar level is between 100 and 125 mg/dl, or if two random (anytime) blood sugar tests are greater than or equal to 140, but below 200. 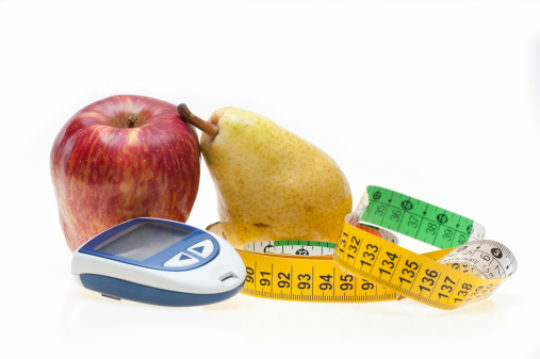 How Can I Manage Pre-Diabetes? Monitoring your blood pressure (your target blood pressure is less than 130/80).